The PACE Living with Cancer Program is designed for cancer patients during or post treatment, to assist in the management of symptoms and improve treatment outcomes & survival rates. With 1 Australian dying every 12 minutes from Cancer, it is important to raise awareness on the importance of exercise in the management of symptoms during and post cancer treatments. Exercise therapy has a positive effect on managing the symptoms experienced when undergoing radiation and/or chemotherapy treatment and post-surgery. To assist in the management of treatment related symptoms such as pain & fatigue, via the development of a graded exercise program, tailored to the needs & goals of the individual. To improve treatment outcomes & survival rates, via the introduction of an exercise intervention in line with current research, supporting the benefits of physical activity during & post cancer treatment. To improve functional outcomes such as aerobic capacity, muscle mass & bone mineral density, which are typically worsened as a result of cancer treatments. .
Mid-Program Review: This 30 minute session is designed as a check in, to see how you are progressing through the exercise sessions, update your home exercise program and complete a re-assessment to measure improvements and address any questions or concerns in an individual setting. 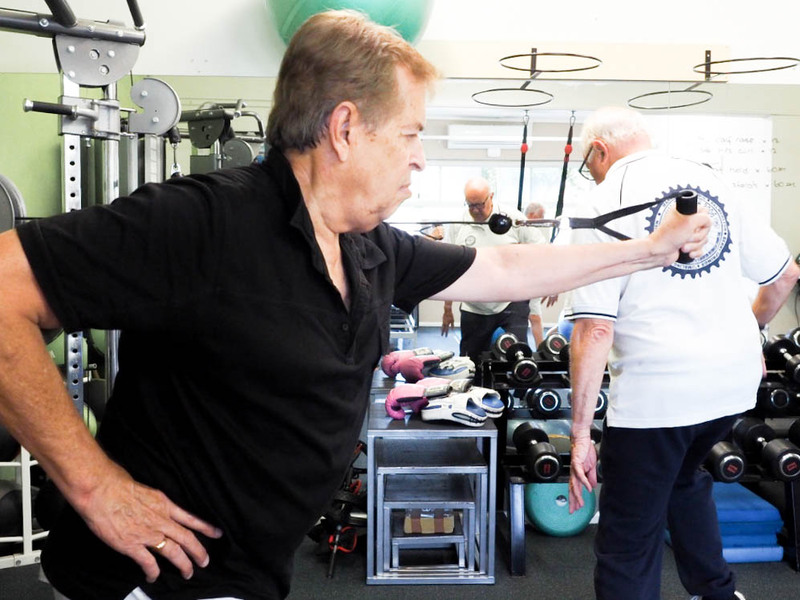 Final Assessment & Pathway to Self-Management: In this 30 minute appointment, we again measure improvements and finalise your home exercise program & self-management strategies. Whilst you have the option of continuing with individual or group exercise sessions, the goal is that you are now equipped with the tools to exercise with confidence and live your happiest & healthiest life. Contact Us today to find out more about this program. Recent evidence has found regular exercise after cancer diagnosis will increase cancer survival rates by up to 60%, with strongest effect seen for prostate, colorectal and breast cancers. Positive effects such as reduced fatigue levels, improving quality of life, enhancing physical performance, and preventing muscle and bone loss (1,2,3). The evidence also indicates that the risk of harm is minimised if the patient is under the care of an experienced Exercise Physiologist. *Note: The Living with Cancer Program is delivered via individual appointments and group based care as required. This is not a one size fits all approach. Your Accredited Exercise Physiologist will discuss the best method of delivery with you, based on your needs & situation. *Funding: This program is claimable on Private Health Funds and Medicare Enhanced Primary Care Plan.